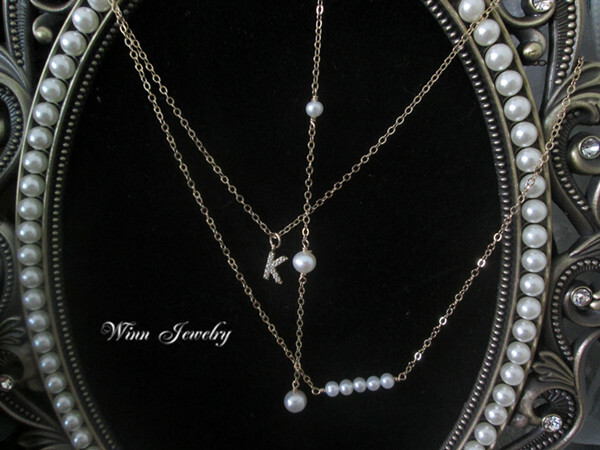 Falling in love with pearls, falling in love with elegance, falling in love with fashion, and falling in love with WINN jewelry design. SKU: 2024959940. 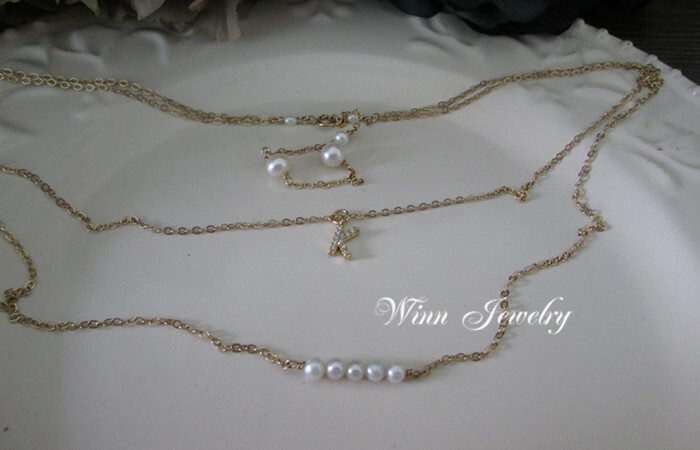 Category: Chain Necklaces. 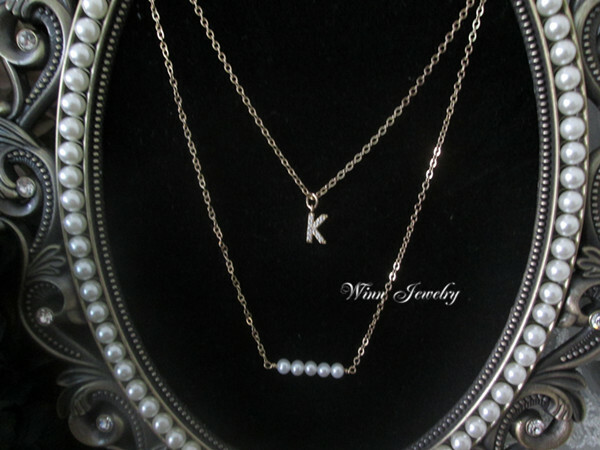 Tag: necklace. Each type of jewelry is carefully designed according to the natural texture and luster of pearls and natural gems collocated with high-grade metal fittings. Your ideas and requirements will be taken into consideration during the process of customization so as to tailor-made for you. It takes certain time to design and make by hand. As the saying goes, soft fire makes sweet malt. I hope you can also enjoy happiness after waiting for those expectations to realize. 14kt gold-filled is made by forming a tube of solid 14kt gold that is " filled" with a base metal. The gold is bonded to the base metal with heat and pressure. The base metal is also gold in color and is made up of almost the same mixture of metals (usually a brass alloy) used to bring 24kt gold dowm to 14kt, 10kt, etc. 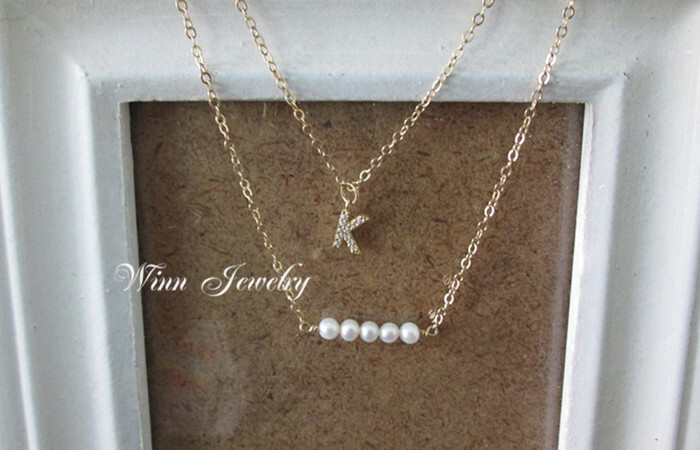 The exterior of the product is solid 14kt gold and every thing you can see or touch is a solid layer of 14kt gold. THis is why it will never tarnish, chip or wear off. The gold layer on gold-filled wire is approximately100 times thicker than gold-plat as and is bonded with heat and pressure. Gold-filled jewelry is Practical & Economical Alternative to Solid gold considering the high cost of solid gold –you’ll enjoy the look and feel luster of gold at a fraction of the cost. The products you ordered will be dispatched with 3 working days, as we receive the confirmation of your payment from Aliexpress. During the Chinese public holidays, we will inform the handing & shipping time specifically. For large quantity order, please allow us to check stock availability prior to paying for the order. We may take longer time for preparing large quantity order, and we will let you know the specific time required. We provide free shipping via China Post Air Mail for orders more than 10 USD which normally takes 10-60 working days for delivery. If you choose carrier via China Post Air Mail, we don’t take the responsibility for damage of items. In case of item lost, both the buyer and the supplier are expected to shoulder the together. We provide free shipping via Express (EMS, DHL, TNT or FEDEX ) for orders more than 200 USD which normally takes 7-12 working days for delivery. Express usually have tax issue. In case of having tax, please cooperate with costoms to pay tax. Note: The time for shipping do not include the processing time (3 working days). In rare cases, your shipment may take longer time to arrive due to the delay in custom clearance and public holidays. If you are statisfied with our products, please do not hesitate to leave us ‘5 stars’ feedbacks, we really need your support. 1.Quality problem: Please contact with us within 7 days after you received the order, take clear photos for the defective product and send to us. We will arrage refund or replacement after get your photos. 2. Any other reason: For any other reason, you do not like or do not want one product, please contact with us within 7 days after you received the order. Make sure keep it in original condition and undertake shipping cost by yourself. we will refund or make exchange after received the returned item.